William and Sarah Hutt married 24th May 1847 at the Parish Church, Chilvers Coton. William worked as a miner, quite possibly at one of the Griff sites as their address was 'The Griff'. Joseph was the second of their four children and by the 1861 census he had become the man of the house, William had died leaving Sarah (a silk weaver) to fend for her family. Once Joseph was old enough to work he followed in the family tradition and became a miner. Joseph married a local lady called Emma Bonsor and they set up home in Stockingford, Swan Lane. His association with Stanley Bros was about to begin, Joseph joined the company as a Miner and gradually made his way up the ladder, eventually becoming Colliery Under-Manager at the newly formed Nuneaton Colliery working along side managers William Standley and then later Leonard T Lindley. When the old colliery closed in 1899, The Hutt's followed to Whittleford and the new mine being sunk. He moved into Poplar Tree Farm house just behind the new mine and settled down to the demands of the job, this had to work!! 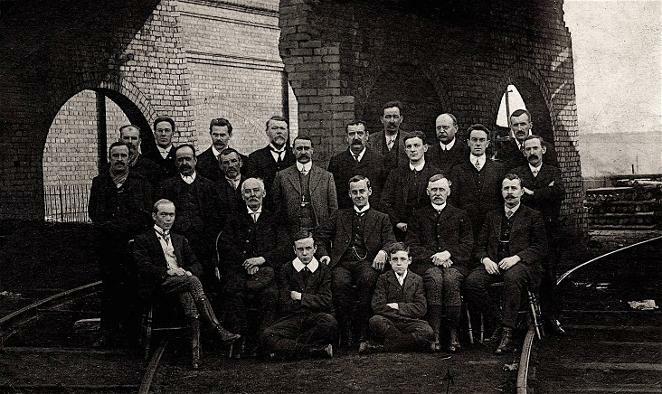 A wonderful photo of Joseph(sat second right) and his fellow Nuneaton Colliery employees. Thanks to Caroline Richards for letting me use the photo of her Great Great Granddad. 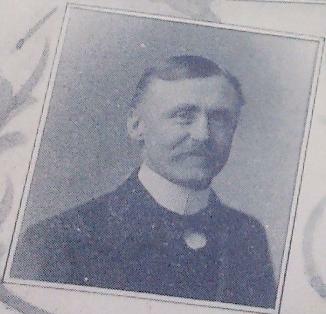 For the Kings Coronation in 1902, Joseph was on hand to organise festivities in Stockingford, helping on the committee. Over 1000 children were gathered for fireworks and sports and at the end of the day were given a souvenir mug to remind them of the day. In 1915, and as the war was raging Stanley Bros was in the hardest period of its existence. 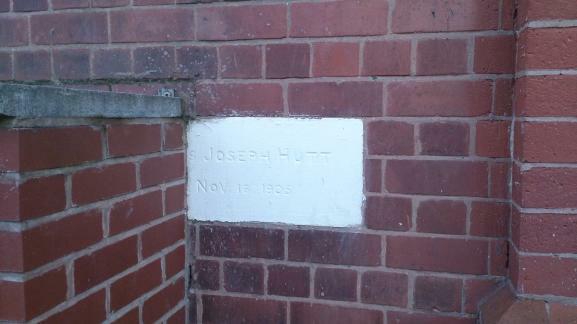 Mr Linley, Nuneaton Colliery Manager met with the board to discuss Joseph's position. It was decided best to replace the long serving gentleman, they offered him £100 as a good will payment and set about finding a replacement. He continued to live at Poplar Farm until he passed away in 1928, although during 1917, Stanley's decided to put the farm up for auction putting a reserve on the property at £4000. I wonder if it did sell in the end? Passage from the minutes of Stanley Bros meeting. Thanks to Warwick County Record Office.